Easy Markdown 1.8 – Create Web pages using markdown. In Easy Markdown the window is split in two parts. As you type plain text on the left, you see on the right the resulting web page as it will be seen on the web. Variable font size for editor, html view and web view. Open end edit directly 66 different types of text file such as TEXT, TXT, HTML, CSS and so on..
Next story Wondershare Filmora 9.0.7 – Video and photo editing. 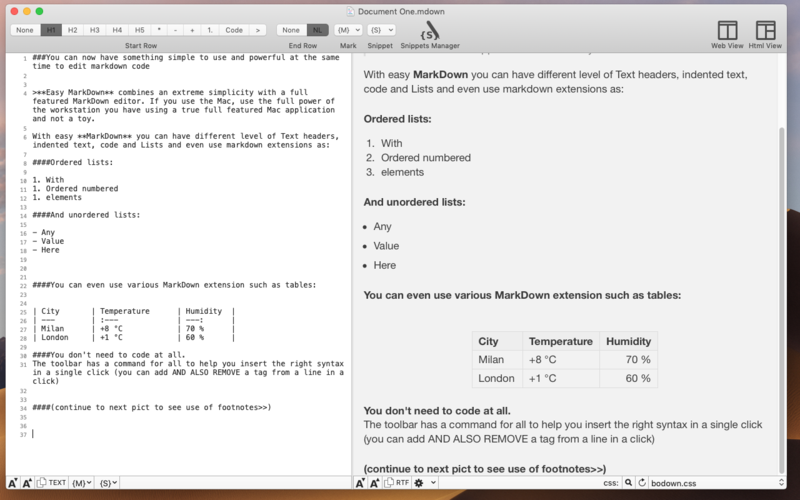 MarkdownD 3.5 – Full-featured Markdown editor. iA Writer 4.0.4 – Professional writing suite (was iA Writer Pro).